Olivier award-winning musical written by Tony Kushner. "Louisiana, 1963. Revolution is in the air, though not so much for Caroline, the poorly paid maid toiling endlessly in the sweltering basement of the Gellman household. It's a fantastical, magical place amidst the piles of laundry and singing washing machines, especially for eight-year-old Noah Gellman who sneaks downstairs to see her whenever he can. 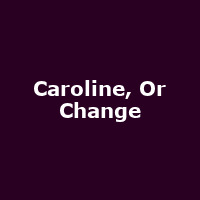 Yet a simple gesture to leave more money in Caroline's pocket is about to test who and how far the winds of change can ever really reach..."